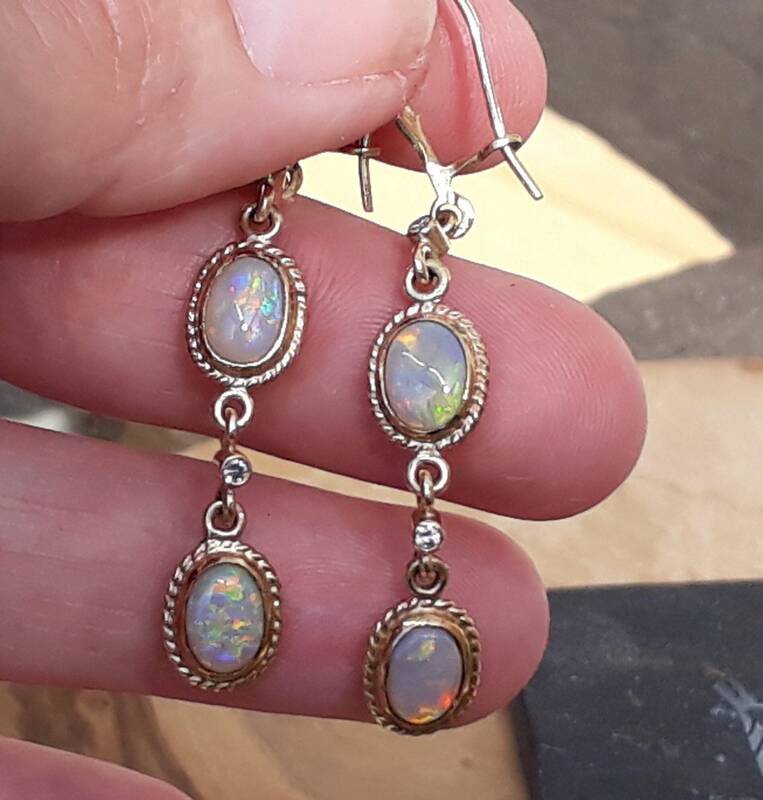 with Sparkly Natural White Diamonds measuring 2 points pr Diamond in-between each Opal Drop. 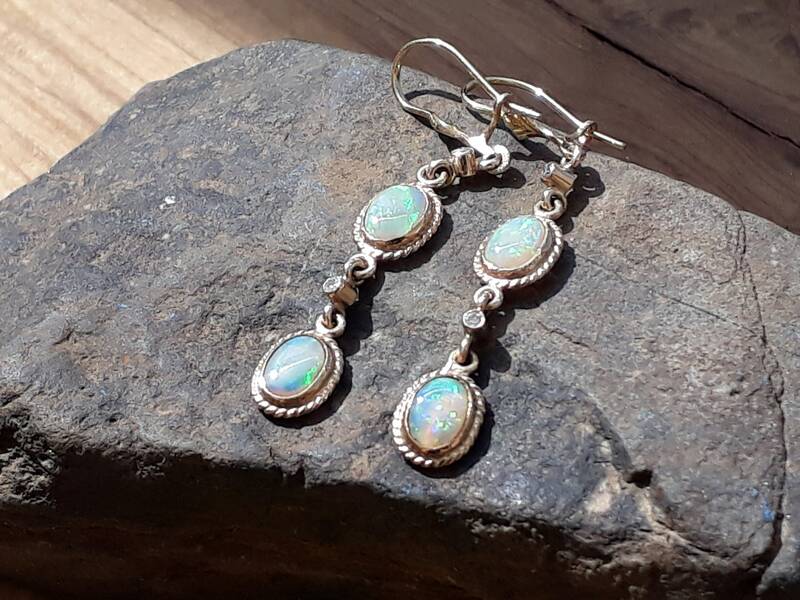 There's Lots of Colour Within Each Opal and Accentuated with Diamonds Make These a Stunning Pair of Earrings. 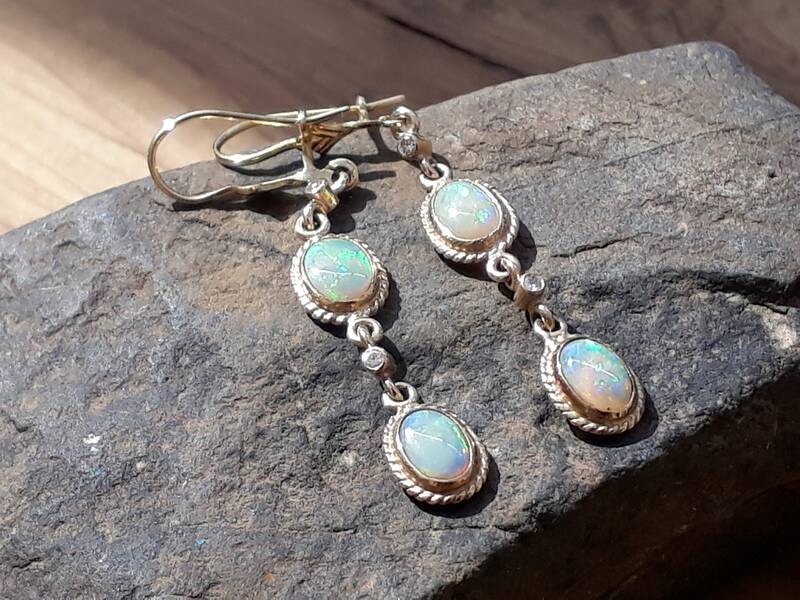 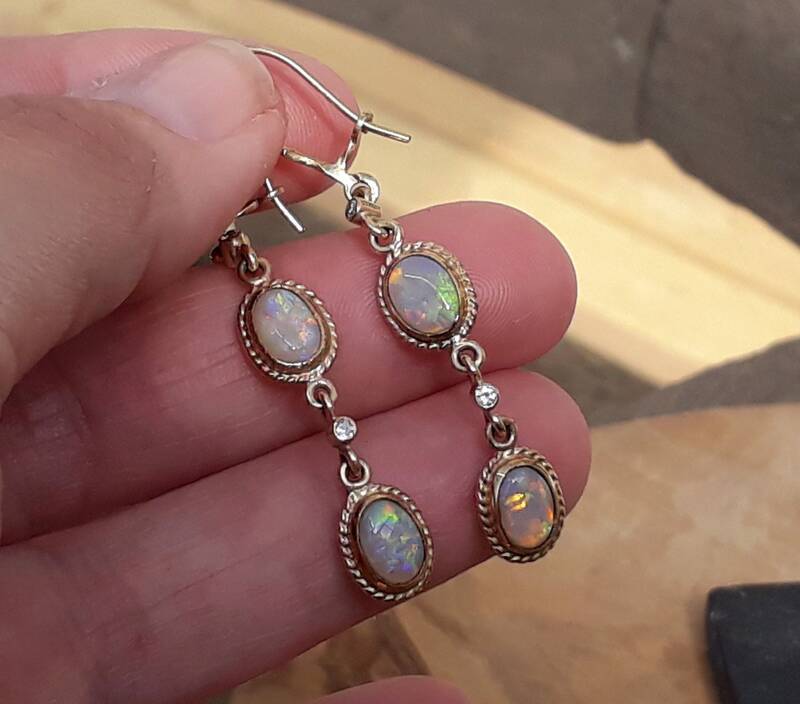 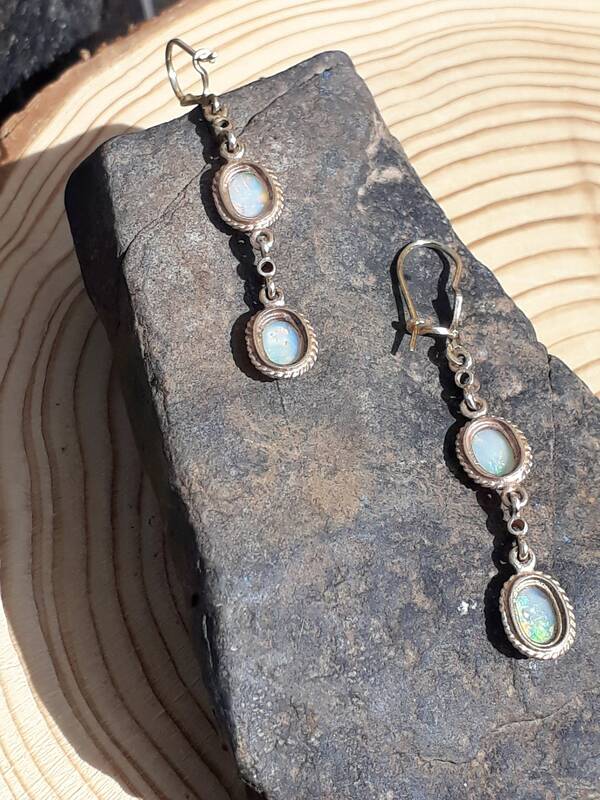 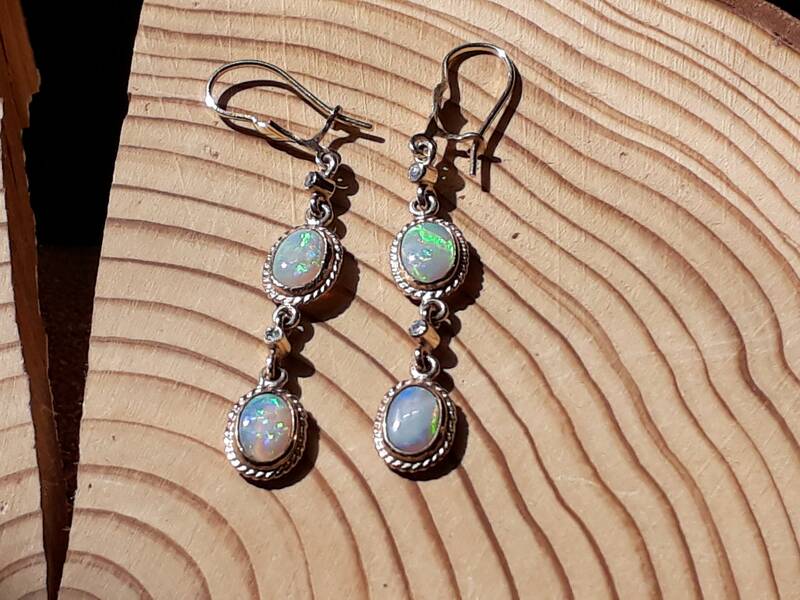 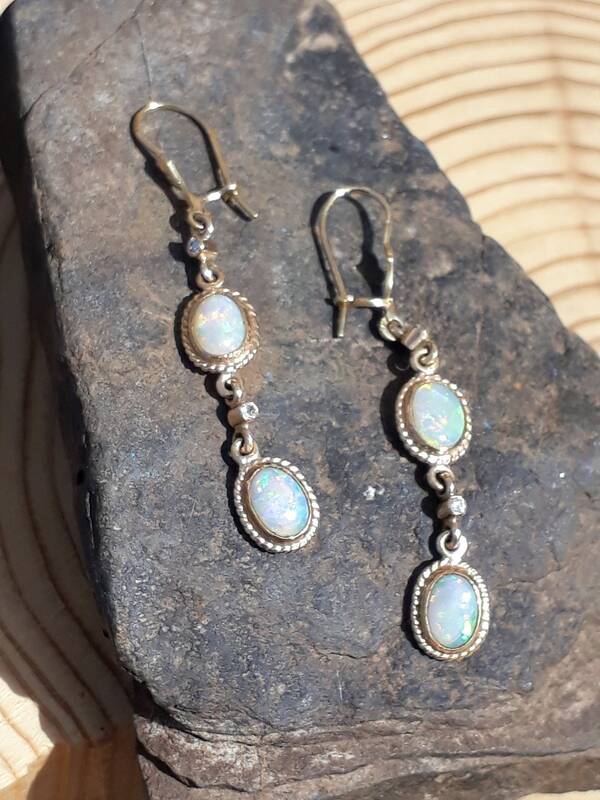 They are fitted with the security of safety hook wires, the total length of these Gorgeous Opal Earrings is 53 mm and width of 8 mm. 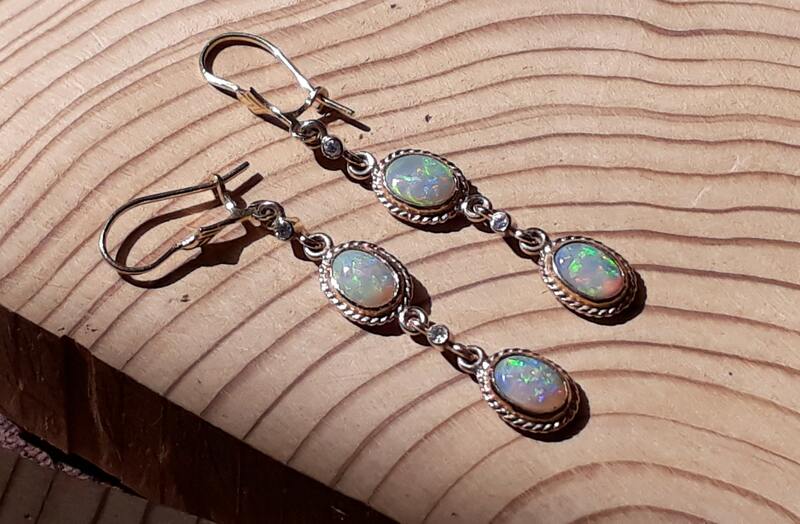 These would make a Fabulous Gift.